Dividend Yield - Stock, Capital, Investment: Why Not Investing In A High-Yield Dividend Achievers Portfolio? Why Not Investing In A High-Yield Dividend Achievers Portfolio? Do you want to put your money to work? Then it needs to do more than just sit in a bank account or get traded in and out of stocks. Your money needs to get you paid, and the way to do that is through high-dividend stocks. Now, doing that isn't as easy as going out and buying the first high payer you can get your hands on. There are some characteristics to look for that will ensure you'll continue to get paid for years to come. Let's look at why an individual investor should be buying high-dividend stocks, and what you need to seek out and what to avoid when picking these stocks for your portfolio. In order to avoid big investing mistakes, investors should focus on stocks with a higher market capitalization, a broader diversified business model which is also less volatile and finally a constantly growing business. The latest point makes it easier for the company to hike dividends in the future. For income investors like me and you, it is a very essential point. However, today I like to introduce those dividend growth stocks that offer most of the above mentioned criteria. I like to show you only Dividend Achievers, stocks that have grown dividends over 10+ years without a break. Attached is a list of the best yielding Dividend Achievers. Which do you like? 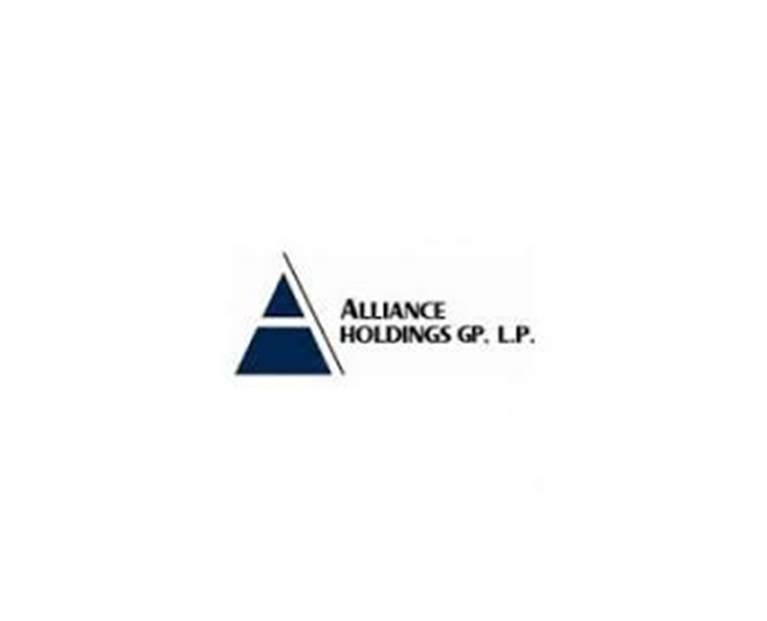 Alliance Holdings (NASDAQ:AHGP) employs 4,439 people, generates revenue of $2,300.32 million and has a net income of $492.67 million. The current market capitalization stands at $2.23 billion. Alliance Holdings’s earnings before interest, taxes, depreciation and amortization (EBITDA) amounts to $814.23 million. The EBITDA margin is 35.40% (the operating margin is 23.46% and the net profit margin 21.42%). Financials: The total debt represents 36.62% of Alliance Holdings assets and the total debt in relation to the equity amounts to 148.41%. Due to the financial situation, a return on equity of 53.62% was realized by Alliance Holdings. Twelve trailing months earnings per share reached a value of $4.44. Last fiscal year, Alliance Holdings paid $3.44 in the form of dividends to shareholders. Market Valuation: Here are the price ratios of the company: The P/E ratio is 8.32, the P/S ratio is 0.97 and the P/B ratio is finally 3.95. The dividend yield amounts to 10.29%. BHP Billiton (NYSE:BHP) employs 47,044 people, generates revenue of $56,762.00 million and has a net income of $14,955.00 million. The current market capitalization stands at $102.11 billion. BHP Billiton’s earnings before interest, taxes, depreciation and amortization (EBITDA) amounts to $29,180.00 million. The EBITDA margin is 51.41% (the operating margin is 39.90% and the net profit margin 26.35%). Financials: The total debt represents 22.84% of BHP Billiton assets and the total debt in relation to the equity amounts to 43.70%. Due to the financial situation, a return on equity of 18.11% was realized by BHP Billiton. Twelve trailing months earnings per share reached a value of $3.49. Last fiscal year, BHP Billiton paid $2.42 in the form of dividends to shareholders. Market Valuation: Here are the price ratios of the company: The P/E ratio is 11.13, the P/S ratio is 1.80 and the P/B ratio is finally 0.79. The dividend yield amounts to 6.36%. HCP (NYSE:HCP) employs 170 people, generates revenue of $2,266.28 million and has a net income of $893.19 million. The current market capitalization stands at $17.85 billion. Twelve trailing months earnings per share reached a value of $0.80. Last fiscal year, HCP paid $2.18 in the form of dividends to shareholders. Market Valuation: Here are the price ratios of the company: The P/E ratio is 47.56, the P/S ratio is 7.87 and the P/B ratio is finally 1.65. The dividend yield amounts to 5.86%. Realty Income (NYSE:O) employs 127 people, generates revenue of $933.50 million and has a net income of $269.14 million. The current market capitalization stands at $11.13 billion. Market Valuation: Here are the price ratios of the company: The P/E ratio is 43.12, the P/S ratio is 11.92 and the P/B ratio is finally 2.04. The dividend yield amounts to 4.81%. Verizon Communication (NYSE:VZ) employs 178,500 people, generates revenue of $127,079.00 million and has a net income of $11,956.00 million. The current market capitalization stands at $189.66 billion. Verizon Communication’s earnings before interest, taxes, depreciation and amortization (EBITDA) amounts to $43,239.00 million. The EBITDA margin is 34.03% (the operating margin is 15.42% and the net profit margin 9.41%). Financials: The total debt represents 48.68% of Verizon Communication assets and the total debt in relation to the equity amounts to 921.05%. Due to the financial situation, a return on equity of 37.65% was realized by Verizon Communication. Twelve trailing months earnings per share reached a value of $2.41. Last fiscal year, Verizon Communication paid $2.16 in the form of dividends to shareholders. Market Valuation: Here are the price ratios of the company: The P/E ratio is 19.34, the P/S ratio is 1.49 and the P/B ratio is finally 15.76. The dividend yield amounts to 4.72%. Caterpillar (NYSE:CAT) employs 114,233 people, generates revenue of $55,184.00 million and has a net income of $3,703.00 million. The current market capitalization stands at $46.33 billion. Caterpillar’s earnings before interest, taxes, depreciation and amortization (EBITDA) amounts to $8,932.00 million. The EBITDA margin is 16.19% (the operating margin is 9.65% and the net profit margin 6.71%). Financials: The total debt represents 46.39% of Caterpillar assets and the total debt in relation to the equity amounts to 234.59%. Due to the financial situation, a return on equity of 19.68% was realized by Caterpillar. Twelve trailing months earnings per share reached a value of $5.83. Last fiscal year, Caterpillar paid $2.70 in the form of dividends to shareholders. Market Valuation: Here are the price ratios of the company: The P/E ratio is 13.28, the P/S ratio is 0.84 and the P/B ratio is finally 2.78. The dividend yield amounts to 4.01%. British American Tobacco (NYSEMKT:BTI) employs 90,118 people, generates revenue of $21,794.61 million and has a net income of $5,293.04 million. The current market capitalization stands at $111.05 billion. British American Tobacco’s earnings before interest, taxes, depreciation and amortization (EBITDA) amounts to $9,991.73 million. The EBITDA margin is 45.84% (the operating margin is 32.54% and the net profit margin 24.29%). Financials: The total debt represents 46.85% of British American Tobacco assets and the total debt in relation to the equity amounts to 222.47%. Due to the financial situation, a return on equity of 51.30% was realized by British American Tobacco. Twelve trailing months earnings per share reached a value of $6.72. Last fiscal year, British American Tobacco paid $4.62 in the form of dividends to shareholders. Market Valuation: Here are the price ratios of the company: The P/E ratio is 17.65, the P/S ratio is 5.10 and the P/B ratio is finally 12.94. The dividend yield amounts to 3.86%. Exxon Mobil (NYSE:XOM) employs 75,300 people, generates revenue of $394,105.00 million and has a net income of $33,615.00 million. The current market capitalization stands at $322.66 billion. Exxon Mobil’s earnings before interest, taxes, depreciation and amortization (EBITDA) amounts to $51,379.00 million. The EBITDA margin is 13.04% (the operating margin is 8.65% and the net profit margin 8.53%). Financials: The total debt represents 8.33% of Exxon Mobil assets and the total debt in relation to the equity amounts to 16.70%. Due to the financial situation, a return on equity of 18.67% was realized by Exxon Mobil. Twelve trailing months earnings per share reached a value of $5.61. Last fiscal year, Exxon Mobil paid $1.38 in the form of dividends to shareholders. Market Valuation: Here are the price ratios of the company: The P/E ratio is 13.91, the P/S ratio is 0.82 and the P/B ratio is finally 1.86. The dividend yield amounts to 3.78%. Emerson Electric (NYSE:EMR) employs 115,100 people, generates revenue of $24,537.00 million and has a net income of $2,184.00 million. The current market capitalization stands at $33.36 billion. Market Valuation: Here are the price ratios of the company: The P/E ratio is 13.79, the P/S ratio is 1.36 and the P/B ratio is finally 3.44. The dividend yield amounts to 3.77%.